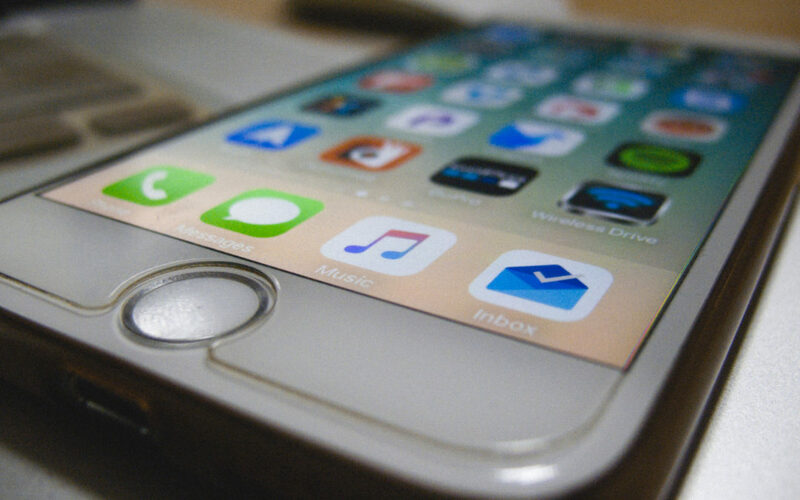 ​Since we’ve arrived here in Mexico, the mobile apps I use most often now have changed. Here’s a rundown of the apps I find myself using most now that we’re living in Mexico. WhatsApp is definitely the messaging app to have down here in Mexico. In the US, I didn’t know anyone who had it. Last year when we were here, we started using WhatsApp with a few friends, so we already had it and had started becoming familiar with it. Now that we’re here full-time, we’re seeing that it’s the go-to messaging app. When someone says they’ll message you, more than likely it’ll be via WhatsApp. 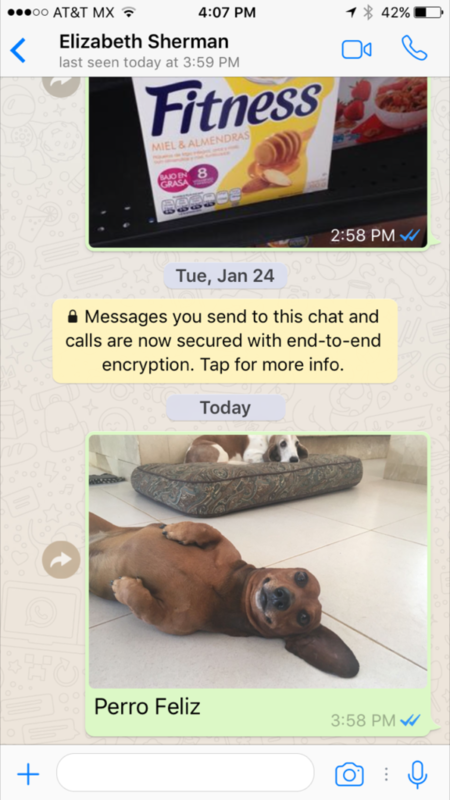 Gotta be able to share new food finds and dog pics! WhatsApp uses your phone’s Internet connection to send messages so you can avoid SMS fees. Same for voice and video calls. WhatsApp voice and video calls use your phone’s Internet connection, instead of your cell plan’s voice minutes, so you don’t have to worry about expensive calling charges. I was super happy with Maps.Me driving down to Mexico, in particular for their offline use. Now that we’re here, and we’re getting familiar with our new state and country, Waze is our goto app. Waze has never let us down for directions (as long as you’re able to access a cellular signal). Plus, it’s fun to listen to the Waze voice speak Spanish road names. The Google Translate app is pretty close to magic at times. To be able to type in words in one language and have them translated to another is awesome by itself. But I love when you can simply hold your phone up to a sign or some words in Spanish, and it’s automagically translated to English in real-time. That’s pretty amazeballs. Even though we’re living in Mexico full-time, we’ve decided to maintain our US bank accounts, This may change in the future, but for now, it’s working for us. When we need money, we simply get cash from the ATM. I have a Schwab Bank High Yield Investor Checking Account, which has no monthly service fees, and rebates any ATM fees that other banks charge – even internationally. So we can get cash from the ATM, and even though the local banks charge an ATM fee, Schwab credits me back that fee. I only keep a relatively small amount of money in my Schwab account. I transfer money into the account from my other bank as needed. In case my debit card should get hacked in some way, the financial liability is limited in this way. I use the Schwab mobile app to keep an eye on balances, transfers, and all activity. In a previous post I mentioned how we ported our home phone to Google Voice. The Google Voice app allows me access to any voice mails that we receive on our home phone. For our old-school snail mail, we signed up for Traveling Mailbox. It’s a service that will scan your mail for you, and allow you to access it online, either through the web or through their mobile app. So rather than changing our mailing address to Mexico, we changed it to a location in Dallas TX. When a piece of mail arrives, Traveling Mailbox scans the envelope, and notifies me. From there, I can tell them to open it and scan the contents, to shred it, or to forward it to me. So far this has worked well for us. I use their mobile app to see received mail, as well as to inform them as to how to deal with a piece of mail when it arrives. I’ll likely do a more detailed post on this service at some point in the future. Facebook seems to be the most active social network for us. Elizabeth and I also have accounts on Twitter, Instagram, LinkedIn, Pinterest, Snapchat, etc. But Facebook seems to be the one we use the most. There’s a number of Facebook groups for our town, as well as some general Mexico expat groups. So Facebook reigns as the top social network for us, so the Facebook mobile app gets a lot of use. I blogged previously about our AT&T plan, and how we’re using it for talk, text, and data. Talk and Text are unlimited, but our data plan is 10GB/month. Previously we were on an Unlimited data plan back in the US, so I never worried about how much data we were using. Now that we have an actual limit, I’ve been using the AT&T app to keep an eye on our data usage. So far so good. So that’s a quick summary of the mobile apps that tend to get the most use on my phone since we’ve moved here to Mexico. Since we’ve only been here less than two weeks, it’ll be interesting to re-visit this post in a few months and see if anything changes. Have any other apps we should be using? Drop a comment below and let us know! I’m really enjoying reading your new blog. Thank you for sharing your thoughts and tips as you both adjust to being an expat. Myself and my husband hope to make the jump in about 5 years. Until then I’ll keep waking up at 5:15 every day, plowing through an hour of traffic, work over 9 hours, head home through same traffic and then… rinse, repeat. Reading your thoughts allow me to daydream that we’ll be enjoying the same adventure soon enough. Keep sharing. Thanks so much for your comments Toni! It sounds like y’all have a 5-year plan, so keep focused – you can do it. We worked pretty hard over the last few years to make this possible. Having that goal in mind makes those commutes and long work days worth it. In the meantime, we’ll do our best to keep sharing our adventures.